The leading Russian airline, Aeroflot has confirmed that it will start four new international flights from the start of this coming winter season. The airline is introducing services to Colombo, Gothenburg, Ljubljana. The flights will operate under the winter schedule effective 28th October 2018 and run through 30th March 2019. - flight SU 0286 will depart Sheremetyevo on Mondays, Thursdays, Fridays, Saturdays and Sundays at 22:05, and arrive in Colombo at 9:05. - return flight SU 0287 will depart Colombo on Mondays, Tuesdays, Fridays, Saturdays and Sundays at 10:45, and arrive at Sheremetyevo at 17:30. Colombo is the largest city of Sri Lanka and its financial and cultural centre. It is the main tourist hub from which travellers start their journeys across the country. Five weekly flights on Airbus A330 aircraft. - flight SU 2180 will depart Sheremetyevo on Mondays, Wednesdays, Thursdays, Fridays, Saturdays and Sundays at 21:05 and arrive in Gothenburg (Landvetter airport) at 21:40. Flight SU2180 will depart SVO on Tuesdays at 21:25, arriving in Gothenburg at 22:00. - return flight SU 2181 will depart Gothenburg (Landvetter airport) daily at 00:20 and arrive in Moscow at 04:45. Gothenburg is the second-largest city in Sweden and one of the cultural capitals of Scandinavia. Part of Gothenburg lies on the Southern Archipelago just off the coast and is connected to the mainland by public boat and ferry services. Daily flights on Sukhoi Superjet 100 aircraft. Ljubljana is the capital of Slovenia, its main political, financial and cultural centre. It is popular among tourists for its architecture and the medieval Ljubljana Castle complex standing on a hill above the city’s downtown. 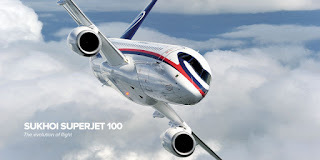 Daily flights on Sukhoi Superjet 100 aircraft.